Brenda and husband Bill and their two children moved to Tallahassee forty-five years ago. She has been a member of TGC for forty plus years. 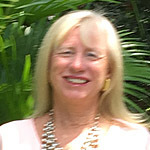 Brenda has served as Chair of Orange Blossom Circle twice, TGC Penal Chair under Jean McCully, served on the Bylaw Committee under Dean Reinhardt and Rebecca Adams, 3rd Vice-president under Pat Sanford, 2nd Vice-president under Rebecca Adams and Helen Purvis and various other committees. As 2nd Vice-President her “job” was the yearbook which she dearly loved doing, working with the members and researching the history of TGC. Brenda enjoys all garden club activities and especially the members. Brenda is a member of Orange Blossom Circle. Joan was born and raised in Tallahassee as one of nine brothers and sisters of the Trotman family. Joan has an identical twin, Joyce who lives in Columbus, GA. Joan is happily married to Gary Stout, a retired commercial contractor, for the past 19 years. Joan and Gary have four children and six grandchildren. She retired in 1998 after working 25 years in the medical field. Joan has been a member of the Tallahassee Garden Circle (TGC) for 16 years as a member of the Magnolia Circle. She has served as the Magnolia Circle’s Chair twice, as well as their Program Chair. Joan has also served as the TGC’s Third Vice President. She is a graduate of the University of Florida’s Master Gardener Program. She loves working in her garden at her home in Tallahassee, as well as her lake house near Panama City. Joan loves the many friends she has made through the years in the Garden Club and enjoyed “loads of fun”. Joan has also served as Chair of the local Ronald McDonald House Charities after serving seven years on their Board of Directors. 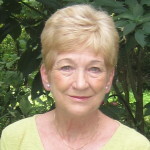 She is a past member of the Antebellum Crewe of Springtime Tallahassee and served on the Springtime Board of Directors. Joan is a member of the Killearn United Methodist Church, where she volunteers countless hours. Erica has been a member of TGC since 2010, serving on the board as co-chair of the Membership committee (2013-15), Corresponding secretary (2015-17), and is currently the 3rd Vice-president. Erica is currently the co-chair of Magnolia Circle. Erica enjoys the variety of programs and events at TGC; there is always something creative and exciting happening. 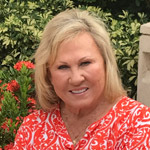 Susan is a fifth generation Tallahassee native who is enjoying retirement, loves to travel, sew and spend time with her family and friends. She is retired from the Fish and Wildlife Conservation Commission with thirty-five years of service to the State of Florida. Married to Patrick, she has one daughter and a Toy Schnauzer – Allie. Monthly visits to South Carolina to spend time with her daughter, Brooke, and her grandchildren are at the top of her list of favorite things to do. In addition to her involvement in the Tallahassee Garden Club, she is currently the First Vice President and Fundraising Chair of the GFWC Woman’s Club of Tallahassee; Treasurer of the Leon High School Alumni Association; and Counting Committee Chair for her church. She is fan of FSU athletics and a member of the Extra Point Club. Susan is a member of Hibiscus Circle. 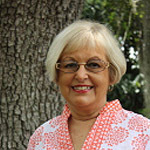 Patricia Romig has lived in Tallahassee since 1980 and has been a garden club member since 2010. She is married to Bob Romig; they have two children. 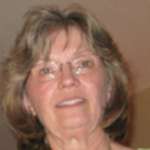 Patricia has a Masters degree from Florida State University and is a retired librarian. 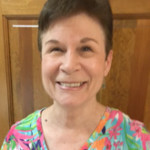 Andrea has been a member of Tallahassee Garden Club Iris Circle since 2009—enjoying the camaraderie and extensive knowledge shared by the circle and other garden club members. She has served on her circle’s awards and horticulture committees, is a past circle chair and is currently the circle secretary. 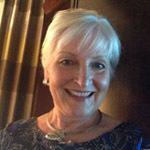 At the club level, she has been co-chair of the annual Spring Bazaar for several years, has served as Corresponding Secretary, and chaired the most recent bylaws revision committee. With her husband and son, she moved to Tallahassee in the late 1980’s for career opportunities. 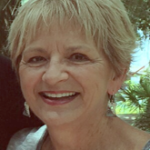 Andrea is a retired educator who worked in the Florida Department of Education and Leon County Public Schools administration. When not providing play dates for their dog and their “grand-dog”, Mike and Andrea enjoy dancing and traveling to visit out of state family members in the Midwest. She looks forward to continuing to serve and learn through the Tallahassee Garden Club. Ruth grew up in Avon Park, FL, earned a BA in History from FSU, married while still in college and subsequently had two children. She and current husband Walt got married in the lobby of the local Social Security office and both retired from the Social Security Administration, where she worked as a Field Representative for 33 years, on the same day. Ruth is enjoying retirement, likes to travel, is involved with many activities at FSU, volunteers at the Alzheimer’s Respite Room at St. Paul’s Methodist Church and has been Chairman of Hibiscus Circle numerous times. Ruth is a member of Hibiscus Circle. A Past President and past and current Circle Chair of the Tallahassee Garden Club, Grounds Trustee Lana Arnold’s favorite volunteer job is gardening. She is a twelve-year Master Gardener and works regularly in the Leon County Extension Office David Marshal Demonstration Garden. She uses the knowledge gained from her Master Gardener volunteer work to prepare, plant and plan the extensive grounds and gardens of the Tallahassee Garden Center. 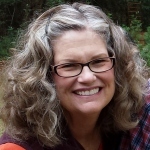 Lana Arnold also serves on the Leon County Master Gardener Continuing Education Committee, as a Florida Friendly Yards Advisor and on the Leon County Extension Office Advisory Committee. She is a Nationally Certified Flower Show Life Judge. 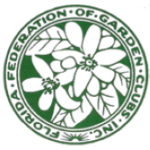 serves on the Florida Federation of Garden Clubs State Board of Directors. Also, she is a frequent speaker at nurseries, garden club horticulture programs, other garden related groups and homeowner associations. She is retired from thirty-two years of service to the State of Florida. Married to Dwight Arnold for forty-four years, she is the proud mother of one daughter, Ann-Marie Arnold and three Chihuahuas, not including one grand dog, Tippy, a Chihuahua, of course. Lana is a member of Buddleia and Coreopsis Circles. Marilyn has been a member of Tallahassee Garden Club since 2009 and an active member of Coreopsis Circle, where she served as Treasurer. She was elected to serve as BOT Treasurer in 2013 and re-elected in 2016. She completed two years (2011-13) as chair of the Caladium Bulb fundraiser for TGC in addition to her Garden Club activities. In 2016, she co-chaired the Garden Club pecan sales. She is a Certified Master Gardener and when not working in her yard, assists in maintaining St. Stephen Lutheran Church grounds, where she is an active member. She is President of her neighborhood association, member of Capital Tiger Bay Club and a founding member of Capital Women’s Network. She has a Master of Public Administration degree from Florida State University. She has one son, Thad, daughter-in-law Martha and 9-year-old grandson, Seth who reside in Tallahassee. Sharing her love of the garden is her Persian cat, Turbo, who loves to chase lizards, and long -time partner, Fleet Pride. Marilyn is a member of Coreopsis Circle. Tara Boyter, a relative newcomer to the Tallahassee Garden Club, recently retired from a career in association management as a membership and communications administrator. In 2015 she joined Sweet Bay Circle where she serves as secretary. 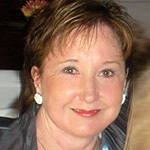 A native Floridian, she has lived in Tallahassee since 1978. When not “digging in the dirt” she enjoys travel and bridge, attends Fellowship Presbyterian Church and is president of her P.E.O. sisterhood chapter.